Apple added another 22 banks and credit unions to its roster of Apple Pay-supporting institutions in the United States, with the new additions to the collection joined by a number of European institutions. The latest batch of institutions to join the Apple Pay support page are, like the last update, made up of regional banks and credit unions, rather than major national banks that signed up for the mobile payments platform within its first year. 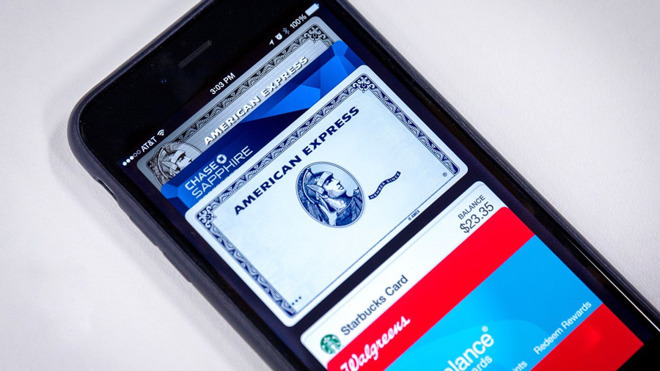 In Italy, Apple Pay is now supported by Banca Mediolanum's Mediolanum Card debit cards. The European mobile wallet service Boon also now works with Apple Pay in Spain, which will also gain support for N26 in the near future. As noted by MacRumors, Apple updated its regional website for France to reflect upcoming support for Crédit Mutuel Arkéa properties Crédit Mutuel de Bretagne, Crédit Mutuel du Sud-Ouest, Crédit Mutuel Massif Central, Fortuneo and Max. Apple Pay Japan added support for KDDI's au Wallet PrePaid card. The change was noted by Ata Distance earlier this week. The new additions arrive ahead of the launch of iOS 11, expected later this year. At WWDC in June, Apple revealed iOS 11 will bring secure Apple Pay-based person-to-person money transfers via Messages, a facility which will include a 3 percent fee if paid using a credit card, but free if used with a debit card.